Japanese Breakfast performs at the Sasquatch! Music Festival in May. Cut the mics: Sasquatch!, the annual music festival that has taken over the Gorge Amphitheatre every Memorial Day weekend since 2002, is reportedly coming to an end. "I will no longer be producing the Festival, nor will it take place in 2019," Sasquatch! founder Adam Zacks wrote in an email announcement that was reprinted by Willamette Week earlier today. "17 years is a long time to do anything. The Beatles lasted a mere 8 years, a fact so astonishing it is difficult to believe," Zacks' statement continues, referring to the breakneck pace with which the Fab Four released its string of groundbreaking albums. "While we didn't accomplish anything as indelible as 'Hey Jude,' the Festival left a lasting mark and proudly represented an independent spirit." Several Inlander reporters attended the most recent Sasquatch! just last month, which attracted thousands with a lineup that included the likes of Bon Iver, Modest Mouse and David Byrne. Over the years, Sasquatch! has brought everyone from Kanye West to the Cure to Coldplay to the small town of George, Wash., and the fest was regularly selling out (often in a matter of hours) at its height. But attendance had been dwindling since a failed attempt to expand Sasquatch! to two weekends in 2014. It was reported in the Oregonian that despite the Gorge's 25,000-person capacity, only about 11,000 ticket holders showed up in 2016. 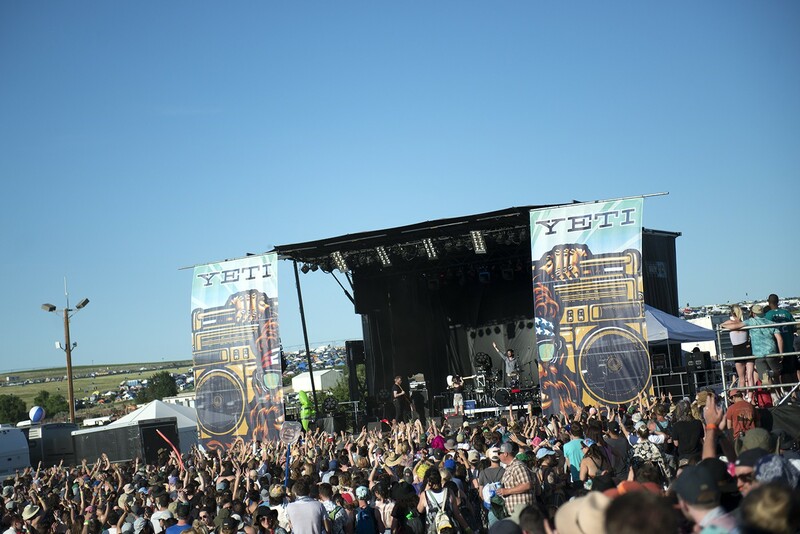 Passes for the festival had also ballooned to $325 this year, a price tag that doesn't include the additional cost of camping for the weekend. Regardless of the reason, the cancellation of Sasquatch! is clearly a major loss for the festival culture, and for live music in Washington. "May the spirit that made Sasquatch! so special live on. Onward to the next adventure," Zacks' statement ends. 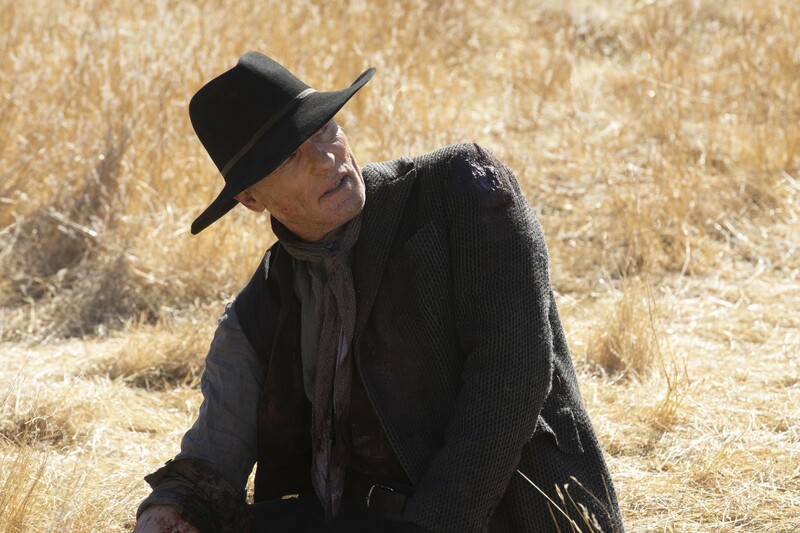 In season one of Westworld, the Man in Black, William, is on a quest to find the end of "the Maze," a feat he believes would lead him to a deeper understanding of the world he helped create, a sense of meaning that he had, as of yet, been missing. The hosts try to warn him: “The Maze isn’t meant for you.” But the Man in Black persists anyway. By the end of the season, he’s left unsatisfied when he finds out they were right. The Maze wasn’t meant for humans: It was meant for the hosts, the robots, to achieve consciousness. After watching Sunday’s season two finale, I find myself returning to that plotline. I’m starting to relate to the Man in Black’s futile season-one quest more and more. This show wasn’t meant for us, the viewers. I know this because it’s unreasonable for the show to expect any single viewer to come away from the show knowing exactly what they just saw, besides a vague sense of a narrative buried under larger themes and ideas. (Warning: spoilers) The surviving hosts have gone to a new world, a matrix of sorts, where they may or may not experience true freedom. Maeve, the robot, dies experiencing the most human of emotions — love for her daughter — after briefly becoming something like Neo. Delores, the robot, escapes to the actual human world in a replica of an actual human body, where she is recreating her creator, Arnold, who was a human, but is now a robot named Bernard. The Man in Black is now a Robot-Human Hybrid in Black? It’s confusing on purpose. We’re not meant to understand it fully. We’re meant to endlessly speculate on what it means. And like the Man in Black, we’re meant to turn toward technology for answers, toward internet forums, podcasts and social media. That world is where we go to understand each episode, to answer questions until the next episode again raises more. That’s what this show, this Maze, is for. As the show kills and revives humans and robots alike, I find myself wondering why any of it matters at all. Do I really care that a robot, which can be revived according to its popularity, has died? Do I care that a human has died and become a robot? Usually, no. That’s not to say the show isn’t occasionally excellent. It’s chilling to watch episode four of this season, “The Riddle of the Sphinx,” a poignant exploration of a powerful man stuck in a loop of his own making, going insane from his own immortality. And episode eight, “Kiksuya,” which follows a robot named Akecheta, is a good example of how the show could succeed while handling the same themes in a simpler narrative. Like the Man in Black, I find myself looking for real stakes, real life-and-death scenarios in the show. I’ve become frustrated chasing down Westworld narratives that seem inconsequential. I feel stuck in a show that won’t provide any answers, only more questions. And I can’t help but think that at the end, I won’t be satisfied, and I’ll remember that the show had been warning me all along. Cedric The Entertainer meets some fans after his packed show at Coeur d'Alene Casino Thursday night. 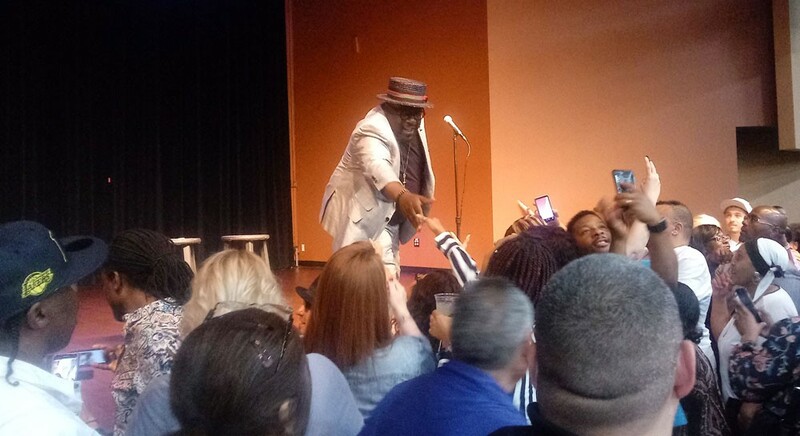 WORLEY, Idaho — When you go to a Cedric The Entertainer standup show, you expect to get a good hour of laughs thanks to the man's talent and 30-plus years of experience on comedy stages large and small. What I didn't expect going to see the man in North Idaho was the most racially diverse audience I've seen for any kind of concert in my almost-four-years living in the Inland Northwest, a couple thousand African-American, Native American and white people joining together to laugh at everything from Cedric and his openers' silly imitations to their pointed political and racial commentary. The great vibe in the room, and the comedians' skill onstage made for an excellent show at Coeur d'Alene Casino. It was my first time seeing the event space in Worley, and I was pleasantly surprised with the set-up. A large stage with video screens on either side made every seat in the room feel like a good one. Of course, that wouldn't have mattered if the show wasn't good, and it was far more than that. Cedric and his two openers, Malik S and Sean Larkins, all made jokes about not knowing where they were, or more pointedly, they all said some variation of "What the f—- am I doing in Idaho?" But they also all followed up at their pleasant surprise at how diverse the audience was. Opener and the night's emcee, Malik S, actually went much further than that, getting into a long and pretty hilarious discussion with some audience members about whether "Native American" or "Indian" was more appropriate for him to use, and noting how many of the black men in the audience appeared to have white wives or girlfriends: "Do they just give you one when you move here, fellas?" Both Malik S and Larkin's sets were met with loud cheers from the audience, and a few groans. Cedric The Entertainer's set, though, was groan-free as he proved a consummate pro and, not surprisingly, a masterful performer onstage. 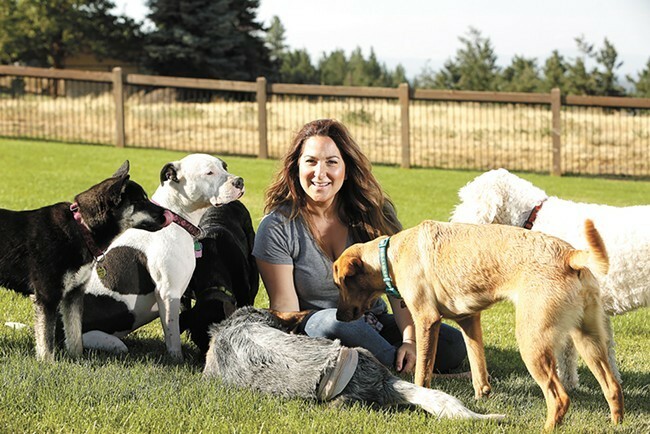 Rescue4All's Jamie McAtee was a featured recipient of the Inlander's annual philanthropy award, the Peirone Prize, last summer for her efforts to rescue and rehabilitate local animals. 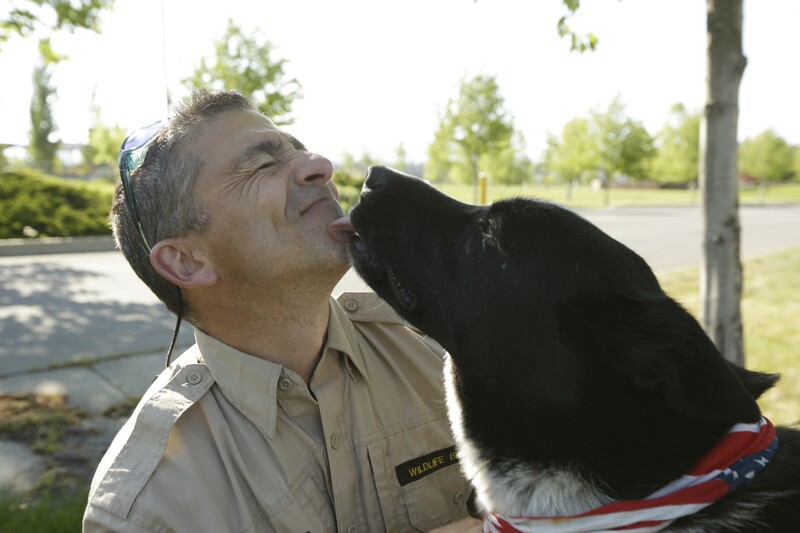 WDFW Wildlife Biologist Rich Beausoleil gets a kiss from his 10 1/2-year-old Karelian bear dog Cash, who has worked on more than 500 bears and 140 cougars. 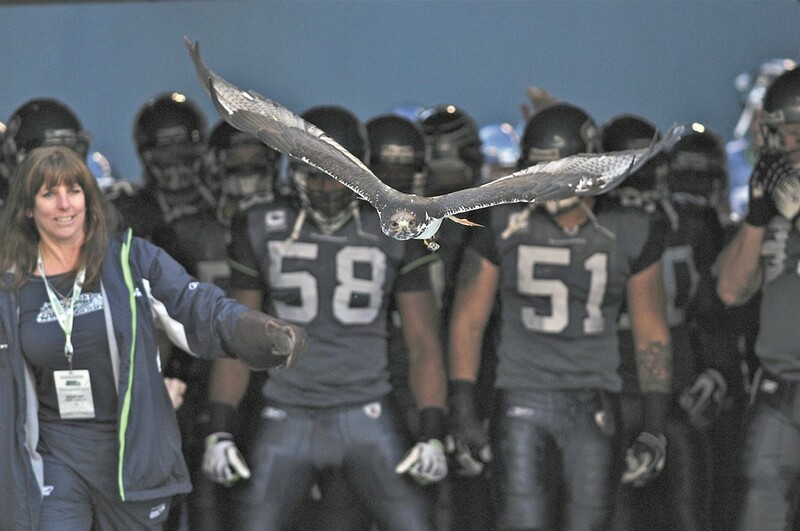 Taima the Hawk, showing off his impressive nearly 5-foot wingspan, leads the Seahawks to football victory at all home games. The Bartlett during this year's Volume Music Festival. The owners of the Bartlett, one of downtown Spokane's most popular all-ages music venues, have announced they will be opening a second — and bigger — venue. "We've seen a need in the music community for a larger, high quality space and we are ready to make that happen," reads a Facebook event page titled "Kickstart The Bartlett 2.0." "We have signed a lease on a 10,000 square foot space and we are thrilled." That location? The former Sunset Junction dive bar at 1801 W. Sunset Blvd., a red and white rectangular building on the edge of Browne's Addition that was most recently a Mexican restaurant. Construction has already begun, though a grand opening date has yet to be announced. The Bartlett was opened in 2013 by owners Karli and Caleb Ingersoll, who have long been involved in Spokane's music scene and envisioned the venue as a go-to spot for both local and touring musicians. 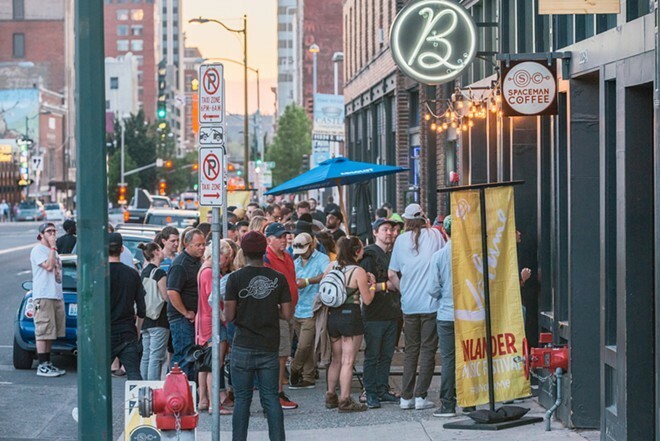 The current space holds 150 people, and though the new location's capacity has yet to be determined, the Inlander confirmed that it will exceed the Bartlett's. Details about the new venture will be revealed during a fundraising event at the Bartlett on June 28, which has a lofty end goal of $40,000. The evening will be open to the public, and you can buy tickets here for $20. The Spokane Democratic Socialists of America chapter will host a benefit at Thursday's performance of the play God's Country at Stage Left Theater. 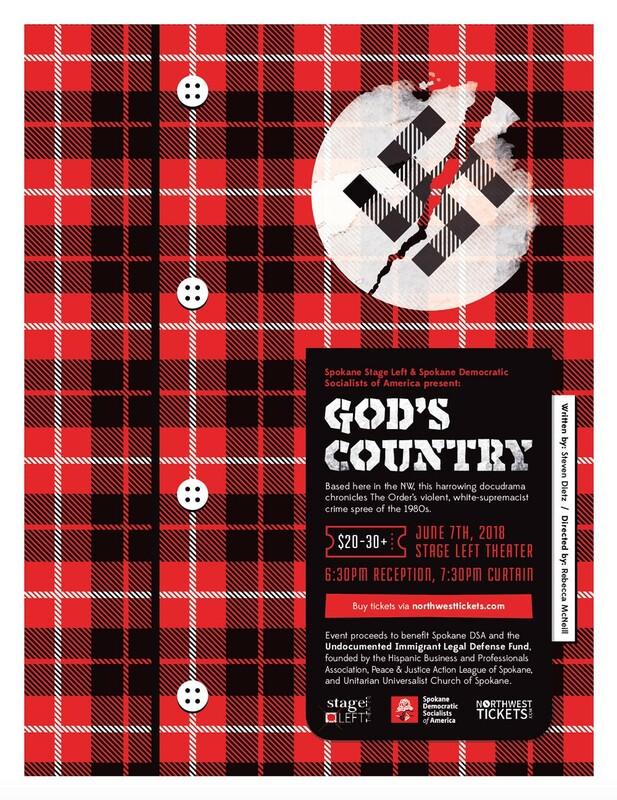 Spokane Democratic Socialists of America (DSA) is hosting a benefit reception prior to this Thursday's performance of God’s Country at Stage Left Theater, on June 7 at 7:30 pm. All proceeds from the fundraiser go towards the Spokane DSA, the Peace & Justice Action League of Spokane, Unitarian Universalist Church of Spokane and the Undocumented Immigrant Legal Defense Fund, a partnership of the Hispanic Business/Professionals Association. 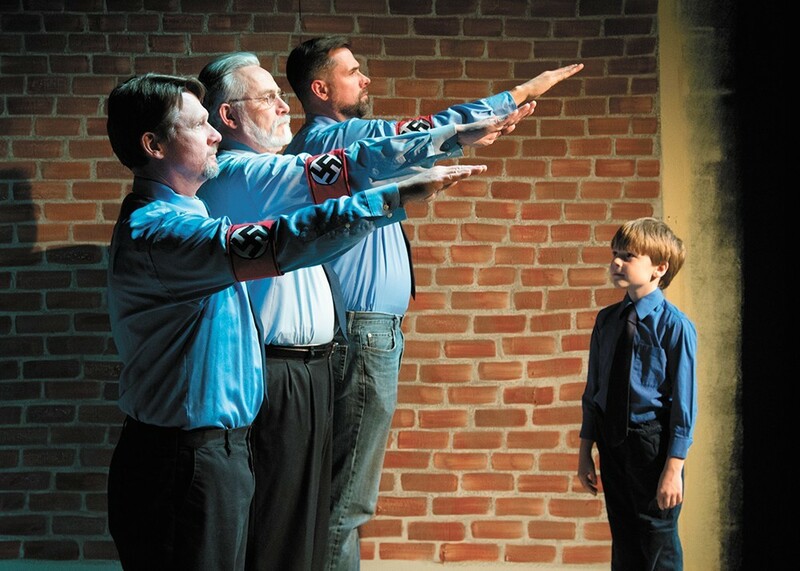 Written by Steven Dietz and directed by Rebecca McNeill, the play is based on the real-life events of a white supremacist terrorist group that was active in the Inland Northwest during the 1980s. Tickets for the show are offered at two donation levels: The “comradery level” at $21 is the theater's standard ticket price, while the “solidarity level” is $31 and includes an additional $10 donation. Tickets are available at northwesttickets.com. The DSA is the largest socialist organization in the U.S. At the event, Spokane DSA chapter's newly elected leadership will be introduced and discuss the group's community work to all those interested. Regular performances of God's Country at Stage Left run through Sunday, June 10. Crystal takes Cirque Du Soleil's magic to the ice. Cirque Du Soleil’s Crystal is a kaleidoscope of art, movement and music. It’s a perfect fusion of playful and solemn as manipulated through light projectors and its accompanying score. 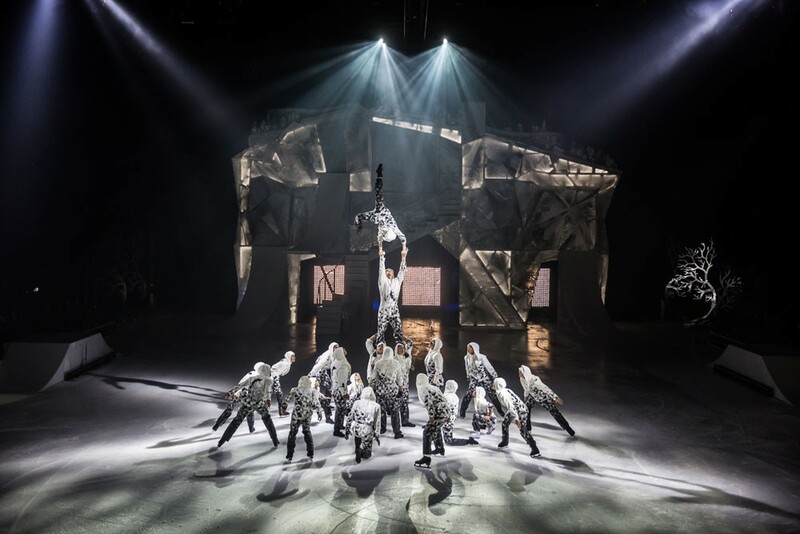 Each scene Wednesday, on opening night at Spokane Arena, was as captivating as the next, from the transitions with axels on the ice to the heart palpitation-inducing acrobatics in the air. It’s difficult not to hold one’s breath waiting for a jump to land or a spin to be perfected. Crystal retains classic elements of Cirque shows, including a clown-like character who juggles and made viewers chuckle with his missteps while introducing an original and unique show thanks to an up-to-now foreign element for Cirque shows: ice. The show opens to Crystal, a young writer, who is taunted by her peers. 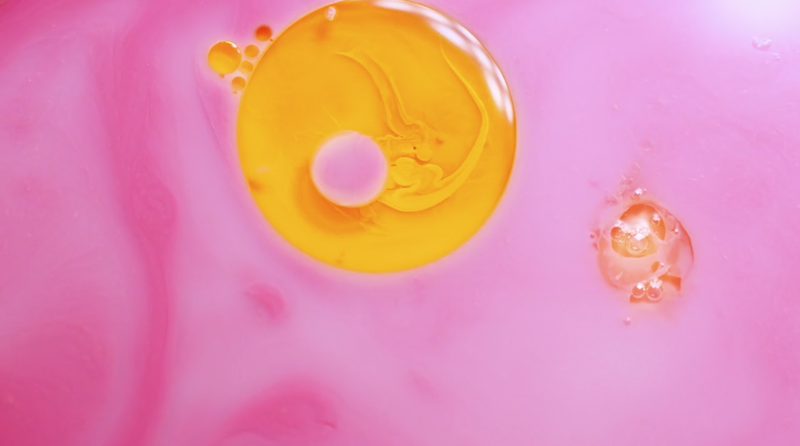 Being a creative misfit, she ventures on a path to find her voice and create her own narrative through confrontations with her alter ego and a cast of whimsical characters. 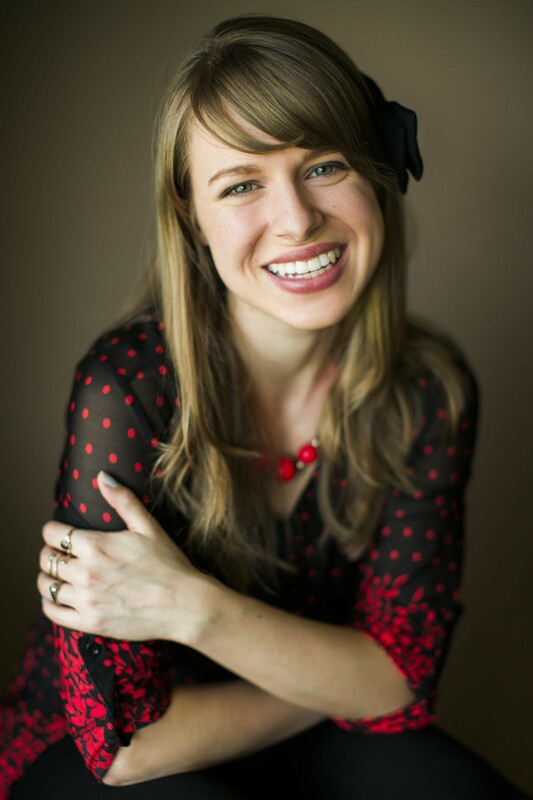 At times, Crystal’s voiceover booms through the speakers and, paired with the music, creates an evocative effect, a nice way for the audience to catch a glimpse of her inner person growing through self-reflection. The costumes were clever and enhanced each number, like when Crystal steps into a corporate world and some of the cast wears a typewriter and others sport a briefcase. In sync, they mechanically type away like droids showcasing a world void of color and creative individuality before breaking into dance. The reflective surface of the ice allows it to transform into ethereal sets like a ballroom or nature scene. Dorje Dolma grew up in the isolated mountain region of Dolpo in Nepal. 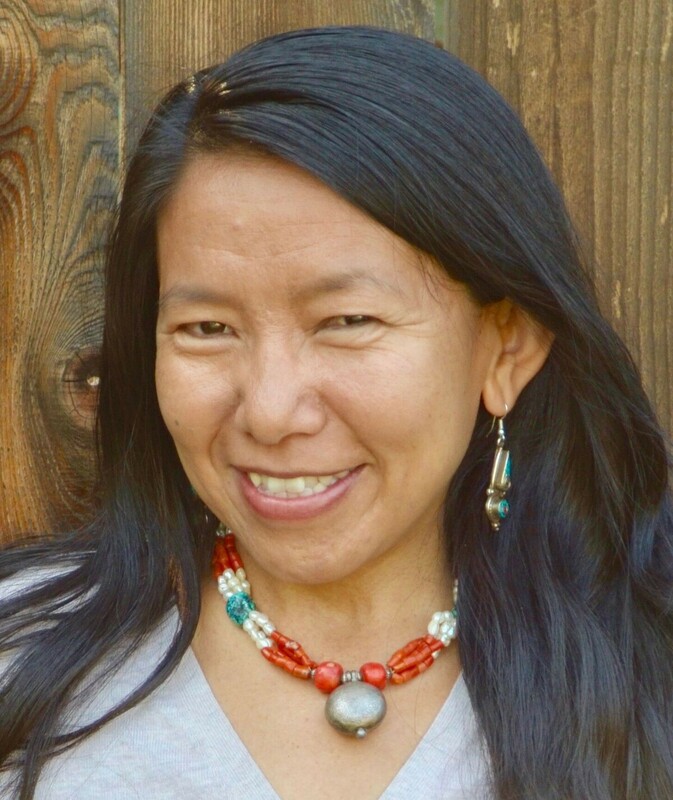 Her new book Yak Girl tells the story of her and her family's struggle to survive. No roads. No running water. No electricity. The remote town of Dolpo, isolated in the Himalayan mountains of Nepal, is a sharp contrast to Spokane. 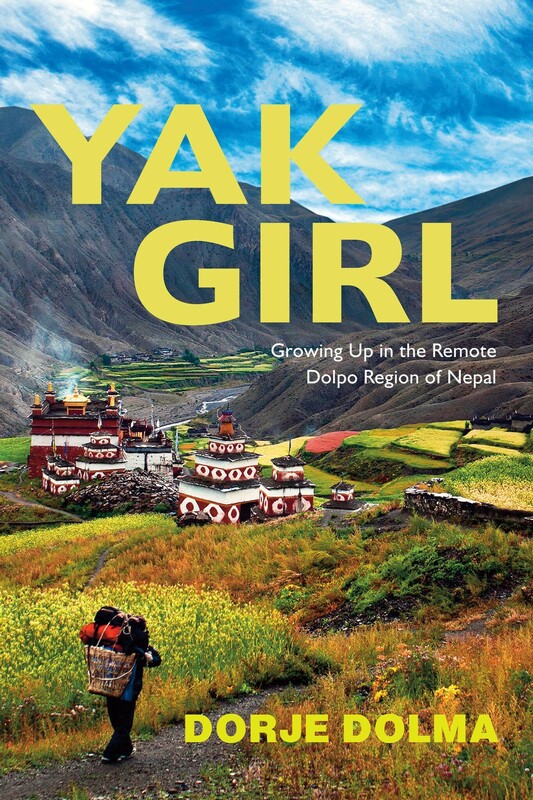 It was here that Dorje Dolma, author of Yak Girl: Growing Up in the Remote Dolpo Region of Nepal, was born. Her first book released last January talks of her struggle for survival growing up in a harsh environment. Dolma is set to tell her story at a book signing event at Auntie's Bookstore on May 2. “I was closed [off] from [the] rest of the world,” Dolma says. “My life has been a journey from living life in Dolpo." Life at 13,000-feet high was a difficult one. Dolma was the oldest of 11 children, of which only six survived. She began helping her family herd their flock of goats and sheep at an early age. She had to defend the herd from attacks by wolves and snow leopards — not an easy task for a 5-year-old. At age 10 her parents traveled on foot for more than a month to reach Nepal's capital city of Kathmandu to seek help for Dolma’s scoliosis. But the doctors there couldn't help. Broke and begging on the streets, her family came across the charity ROKPA who helped Dolma travel to America to seek medical attention in 1995. After four surgeries, her life was saved. But now unable to survive in the rough living conditions of Dolpo, she couldn’t go home. So an American family adopted and cared for her stateside. 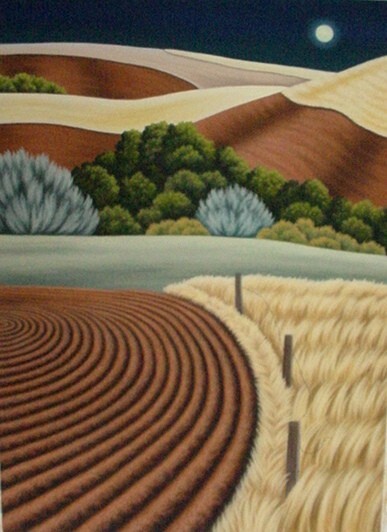 Dolma went on to graduate from the University of Colorado with a degree in Fine Arts and currently works as an early childhood teacher. Dorje Dolma will be at Auntie's Bookstore in Spokane this Wednesday to give a presentation on her experience living in Dolpo, Nepal, and to sign copies of her new book. Yak Girl tells Dolma’s life story along with how her isolated homeland has slowly begun to change as the modern world trickles in. Her goal is to inspire people with her story. Recently she completed a book tour in Nepal and in the U.S. The author has given more than 40 talks so far with no signs of slowing down. Once the book tour has wrapped up, Dolma plans to start a charity of her very own. Her goal: build a health clinic in Dolpo so others won’t have to struggle as she did.